The crew of the Farr PH 56 Monterey has reportedly abandoned ship after the boat began taking on water. The cause of the water ingress is as yet unknown. According to the Antigua Bermuda Race Committee, the crew and its skipper, Les Crain of Bermuda, are safe and well after having transferred onto the Volvo 60, Esprit De Corps IV, which is also competing in the race and was close by at the time. The schooner Spirit of Bermuda is also in the vicinity and said to be monitoring the situation. 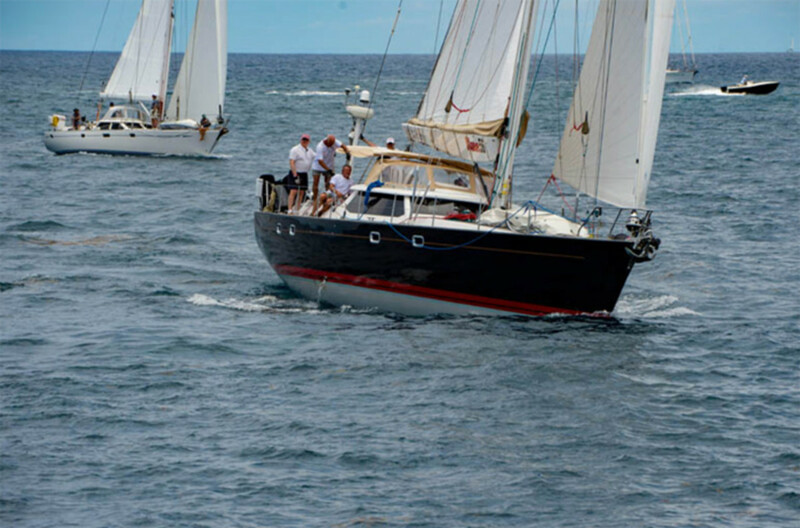 The Antigua Bermuda Race began last Friday, May 12. "We are saddened by the news, but we know past commodore Les Crane has completed many miles of ocean crossings, and as skipper we know his decision is based on the safety of his crew, and we are glad all are safe," said Leatrice Oatley, current commodore of the Royal Bermuda Yacht Club. For the latest, visit https://www.antiguabermuda.com.